As students trickled into the entrance to begin their day, they were greeted by the words “ARE WE NEXT” in bold, orange letters, painted on the sidewalk. Wellesley Middle School officials are working with the town’s Police Department after a stark message was found spray-painted on the front walkway outside of the school building Tuesday morning. 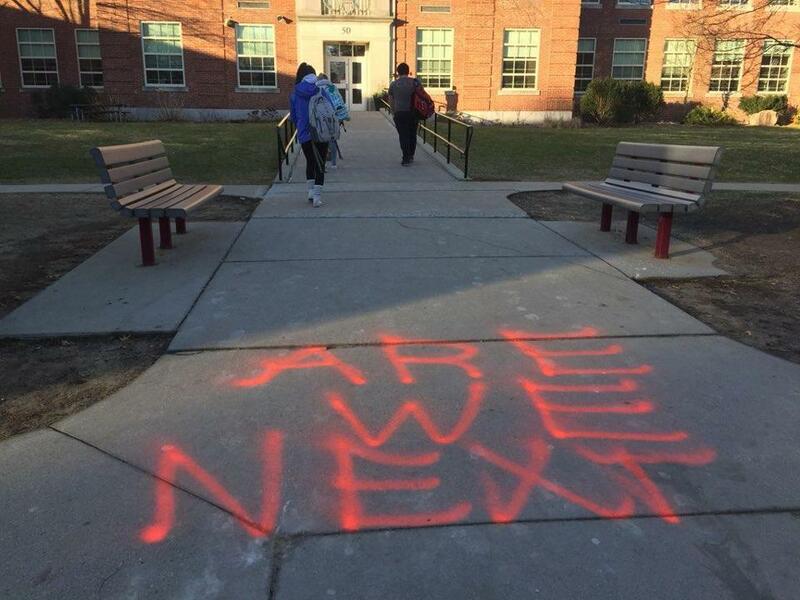 As students trickled into the entrance to begin their day, they were greeted by the words “ARE WE NEXT” in bold, orange letters, according to Mark Ito, principal of Wellesley Middle School, who sent an e-mail to parents shortly after the graffiti was discovered. Custodians covered the message quickly on Tuesday, and it was later removed, said Lussier. “It is also important to note that there were no similar messages found at any other school,” he said in the statement. But there will be additional police presence throughout the district as the investigation continues, he said. With each mass shooting, experts say they are learning more. 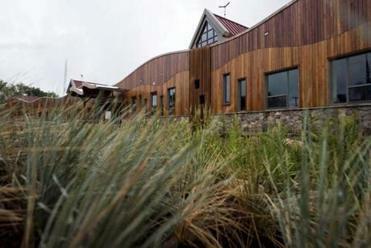 The rebuilding of Sandy Hook has offered particularly apt lessons. Ito asked parents with any information about how the graffiti “was generated” to call the school’s office or reach out to him personally. He asked that people not post pictures of the vandalism while the investigation is underway. In a follow-up e-mail sent out Tuesday afternoon, after the graffiti was erased, Ito said a review of video footage showed that the incident did not affect building safety. Even so, he promised parents there would be an increased police presence at the school through Wednesday. Ito said guidance counselors would be available to speak to students if necessary. A police spokesman referred a reporter to the School Department. Kelley Tuthill, a parent of a Wellesley student, shared an image of the graffiti on Twitter before the note from the principal went out. The incident comes at a time when schools everywhere are on high alert following the February shooting at the Marjory Stoneman Douglas High School, in Parkland, Fla., where 17 students and teachers were killed by a former classmate. Since then, several threats have been made by students around the state. On March 14, students and teachers around the country are planning school walkouts to protest gun violence and call for stricter gun control laws. Danny McDonald of Globe Staff contributed to this report. Steve Annear can be reached at steve.annear@globe.com. Follow him on Twitter @steveannear.